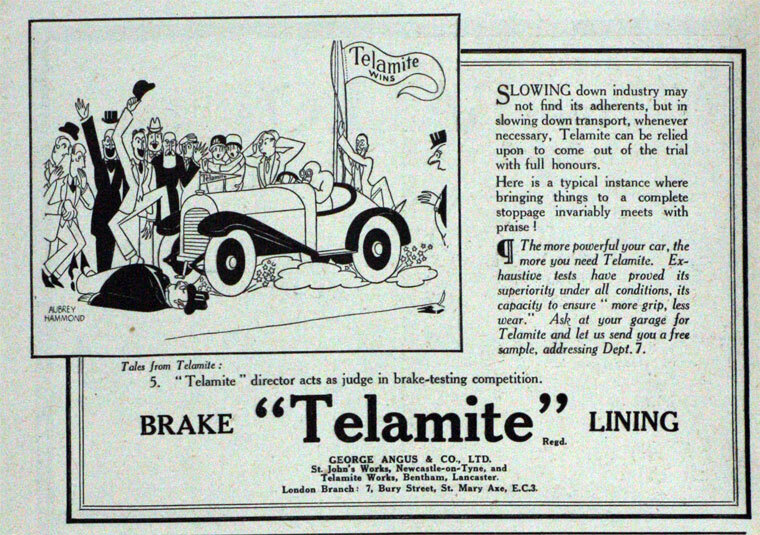 September 1925. 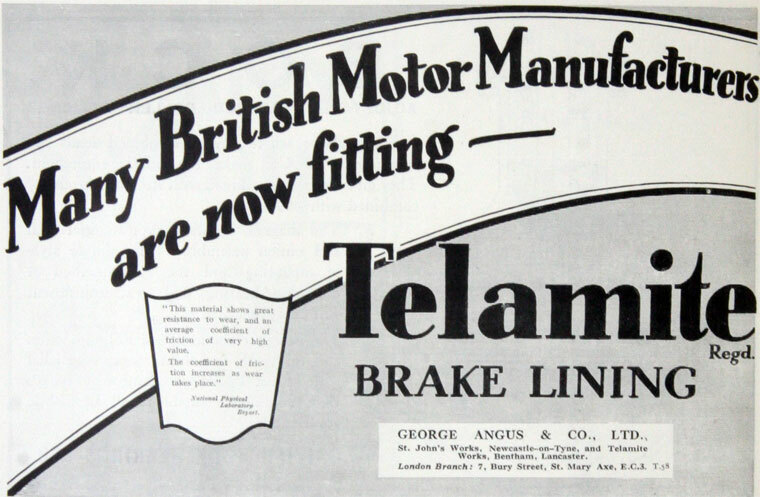 Telamite brake linings. 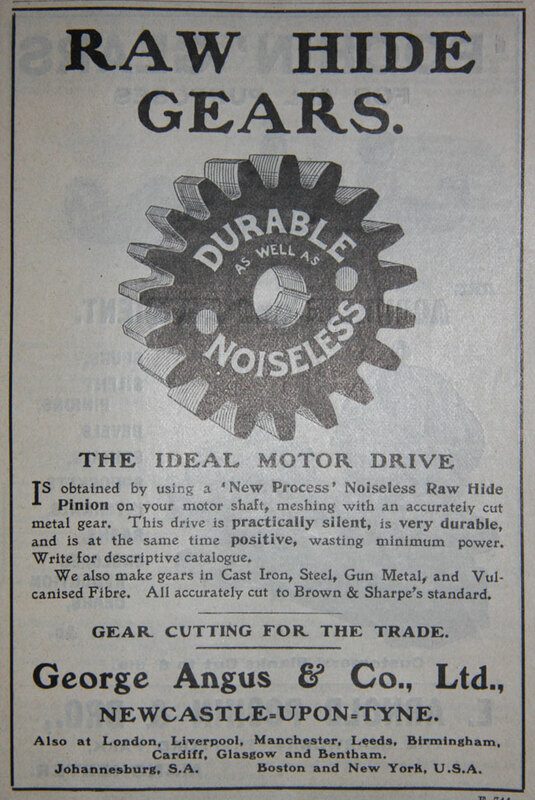 November 1926. 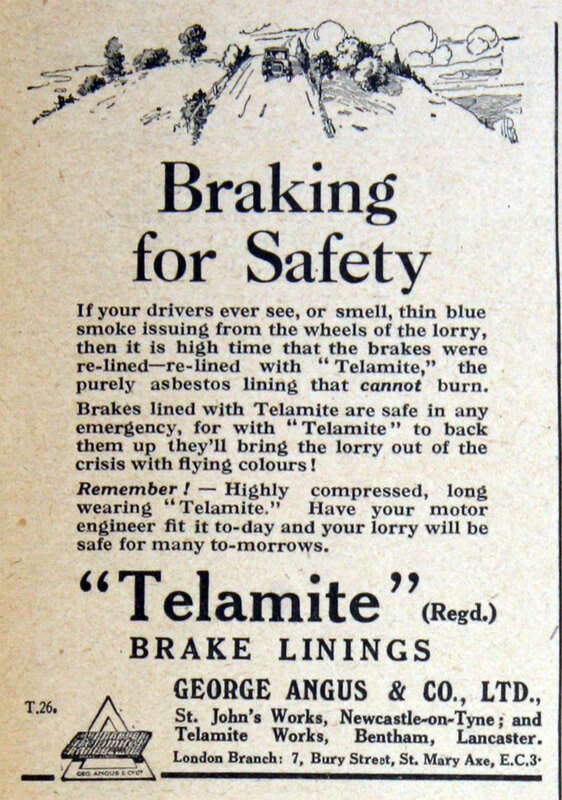 Telamite brake linings. 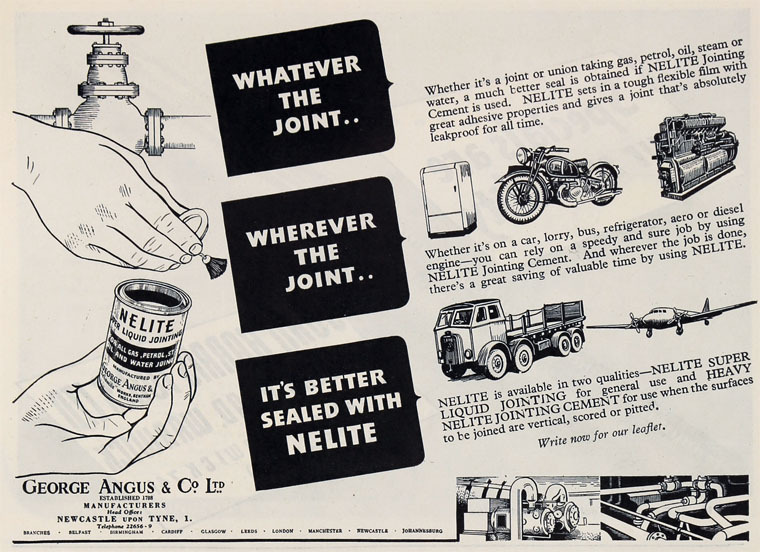 November 1954. 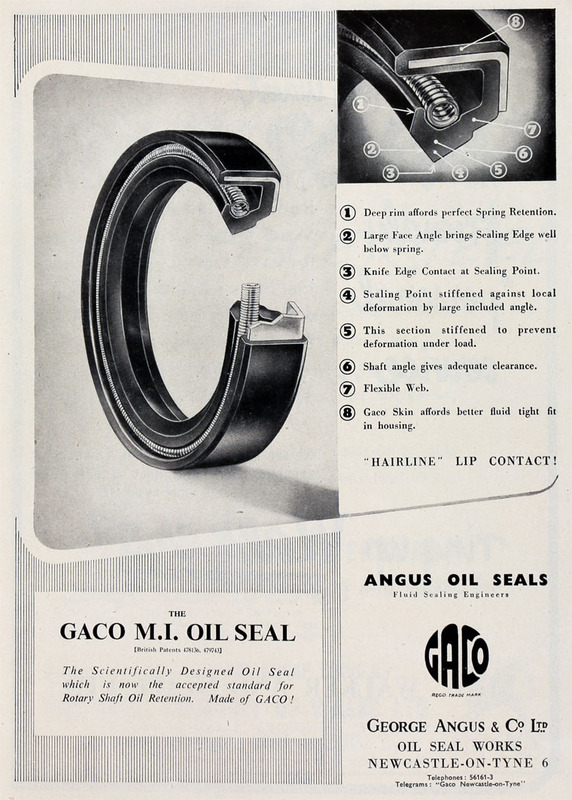 Caco M.I. 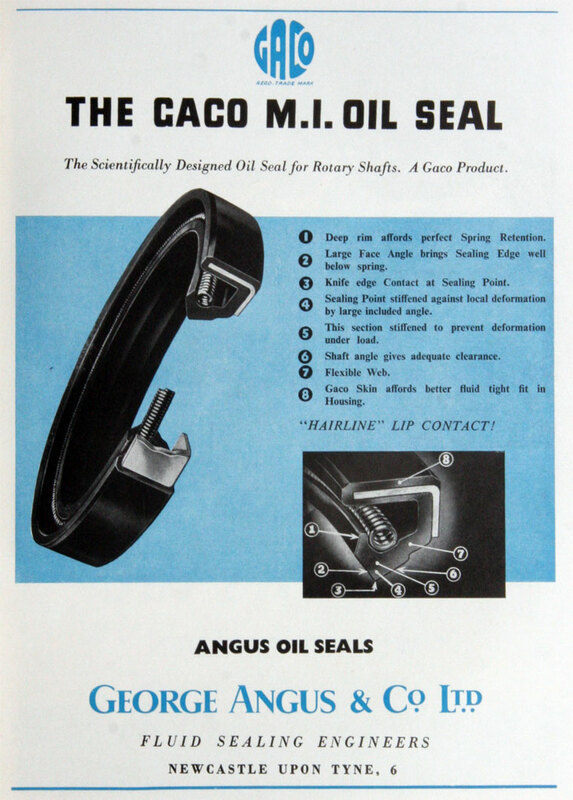 Oil Seal. 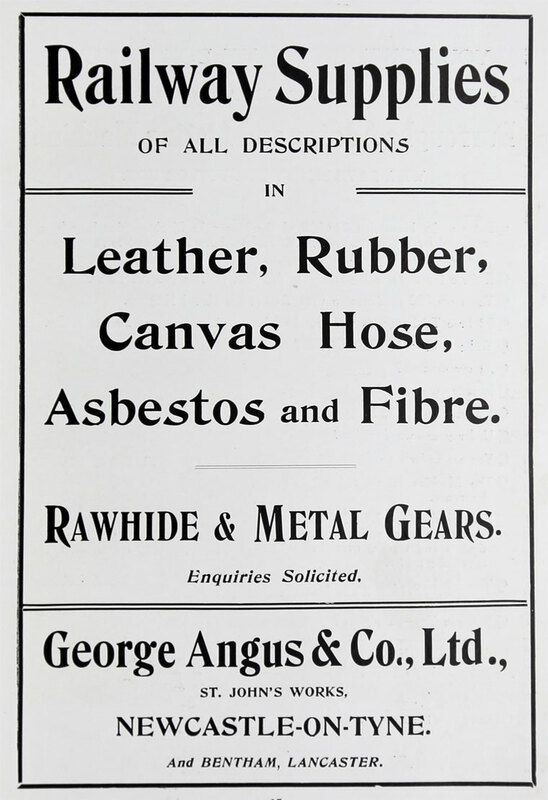 1849 Advertising their gutta percha depot at 36 Grey Street, opposite the District Bank, stocking 'a large assortment of useful and fancy articles'. 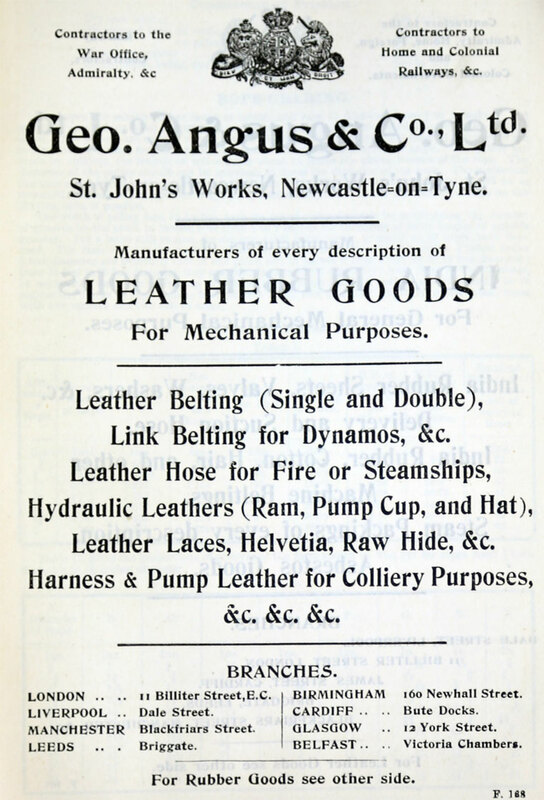 1935 An agreement was negotiated between George Angus and Co and Carl Freudenberg G.m.b.h of Weinheim, Germany – both established and well known leather manufacturers. 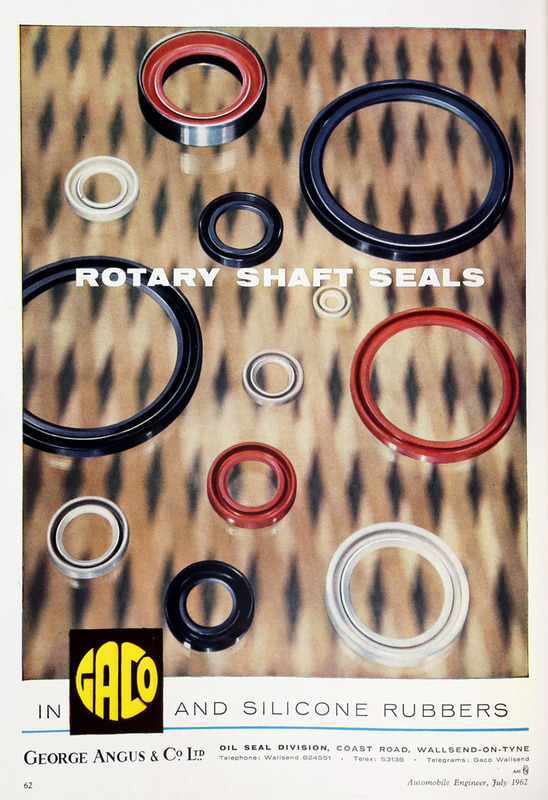 Freudenberg (C. F.), the largest industrial leather firm in Europe, had developed rotary shaft seals utilising chrome leather sealing members secured in steel casings. 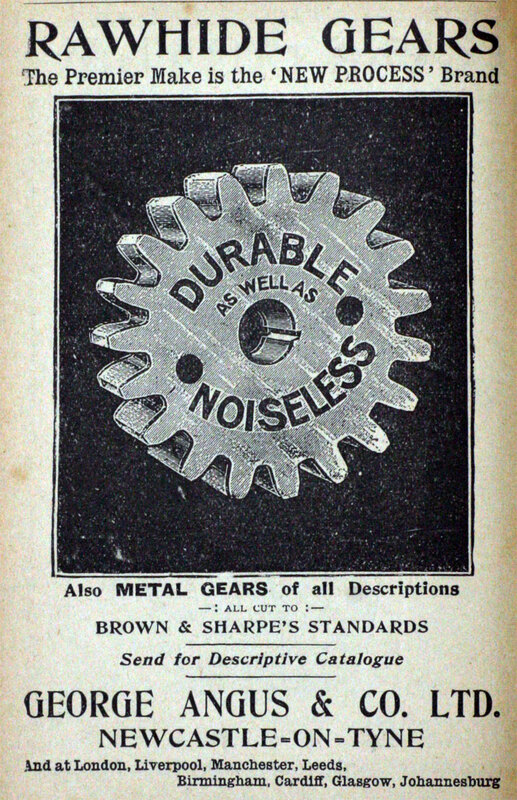 These were designed as self contained units suitable for pressing into machine housings (like ball bearings) with flexible spring loaded leather lips to contact the rotating shafts to be sealed. 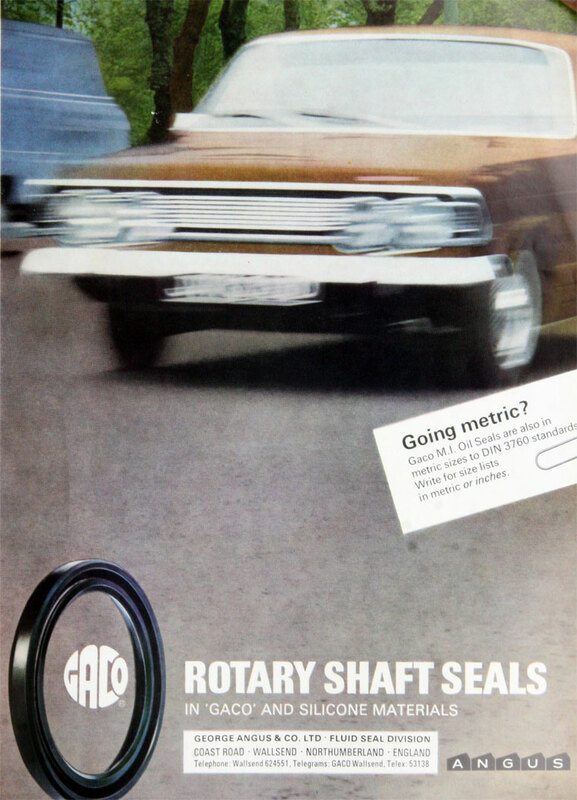 Walter Simmer the developer of this seal headed the C.F. 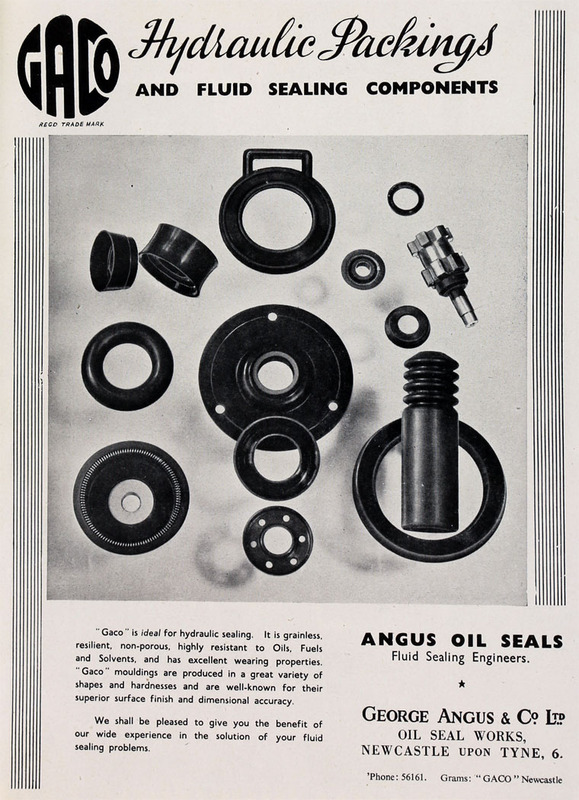 oil seal factory (Simmerwerk ) at Weinheim. 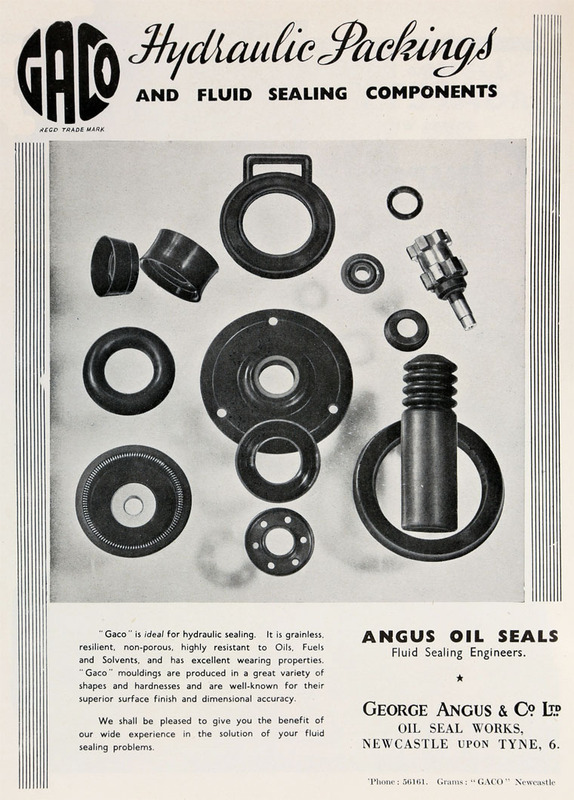 The seal was named after him – Simmering – a name which was adopted widely for unitary shaft seals throughout Europe. 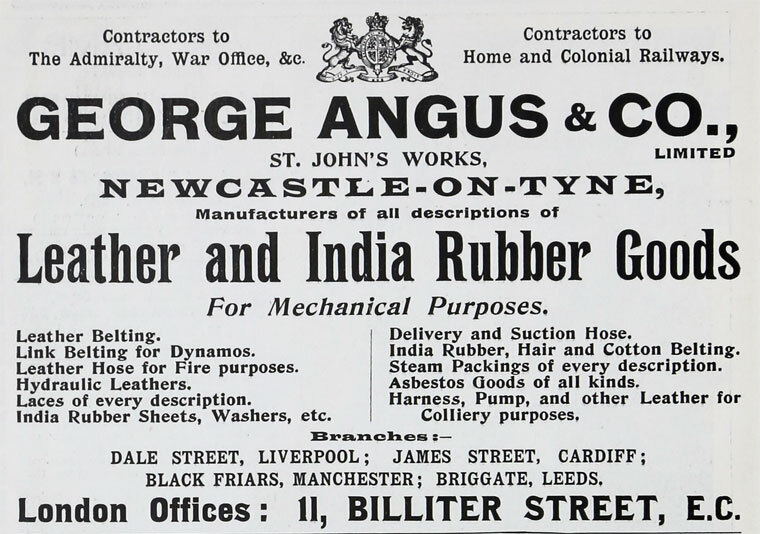 At the time of the initial Angus/C. 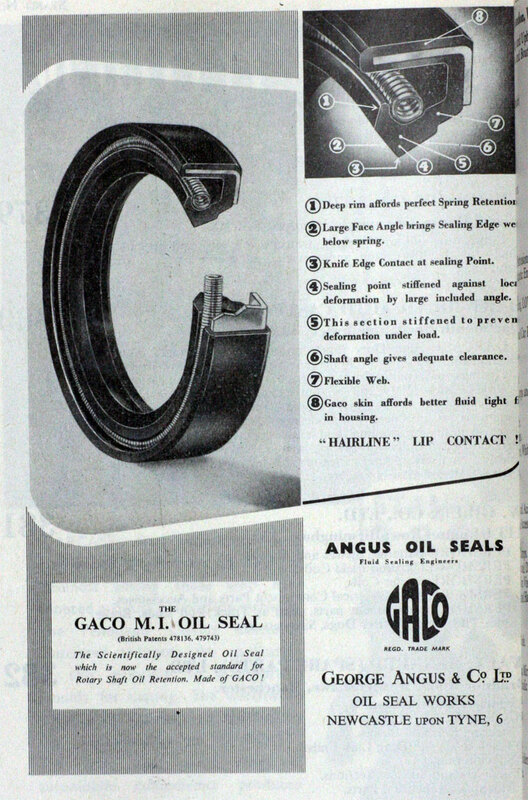 F. agreement all seals were of leather. 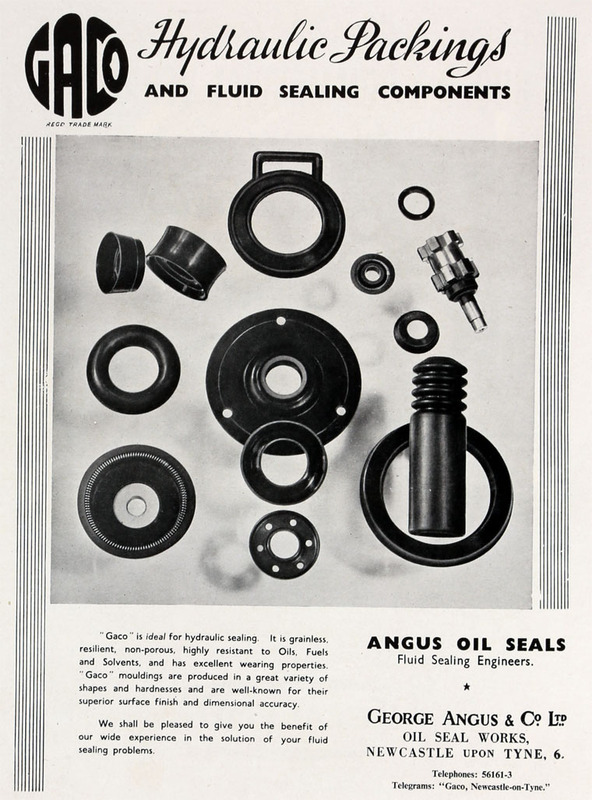 Synthetic rubber had not been developed as a sealing medium. 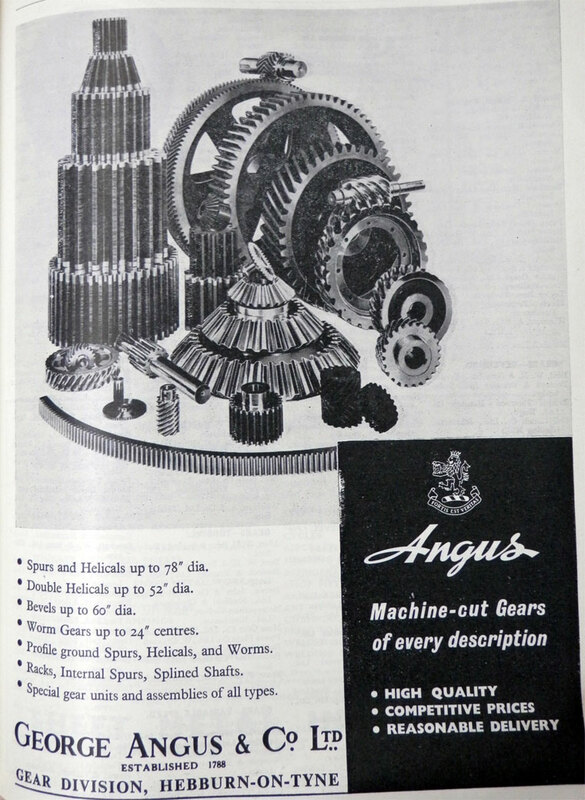 The Angus/C. 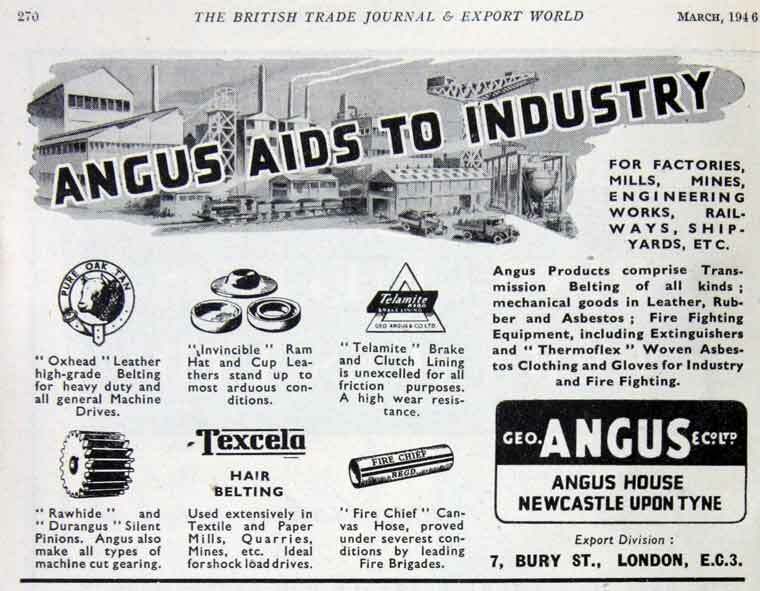 F. agreement licensed Angus to manufacture C.F. 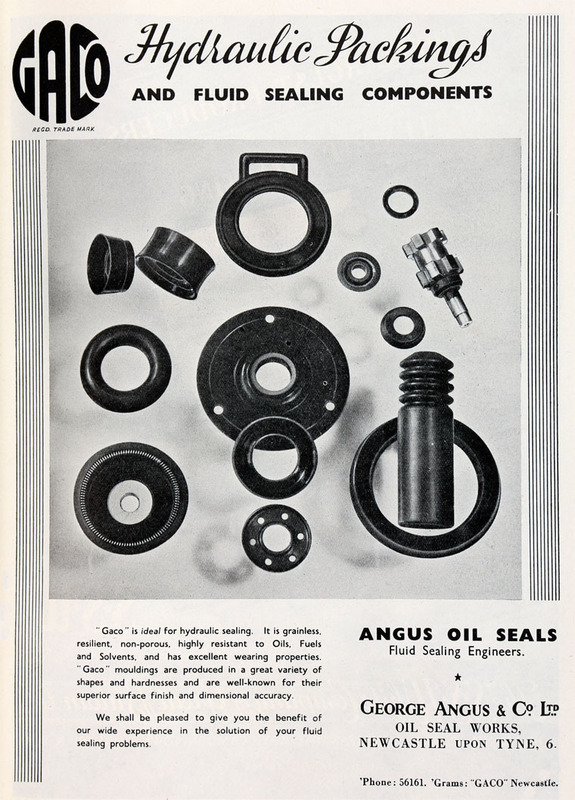 oil seal products in the U.K. for sale throughout the U.K. and British dominions and colonies. 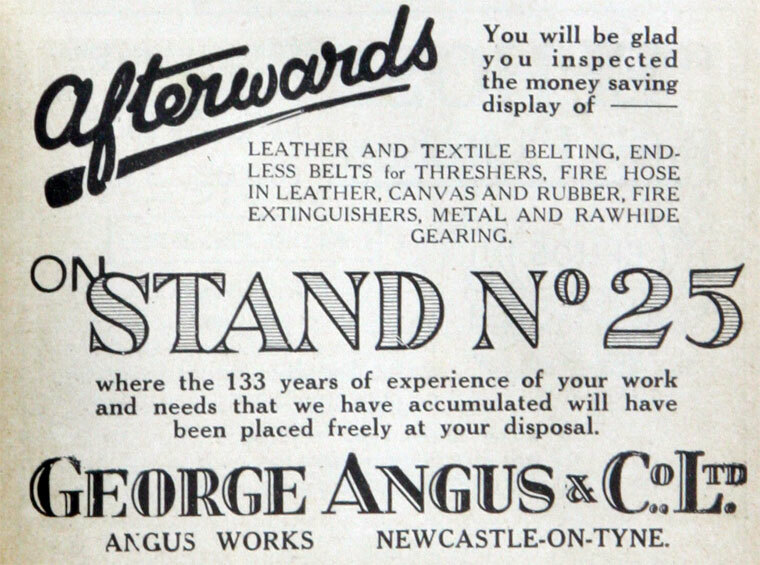 Angus was entitled to use C. F. technology in design and manufacture. 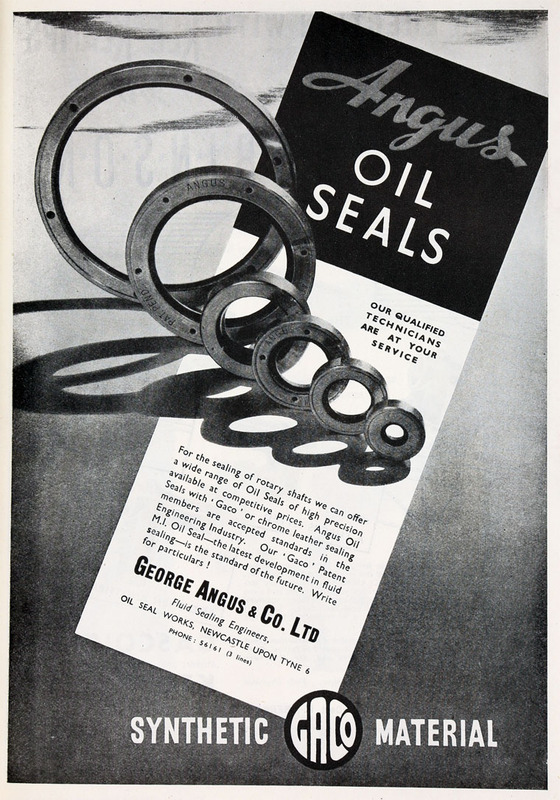 1936 A separate unit of Angus, known as Oil Seal Department (O.S.D), was set up. 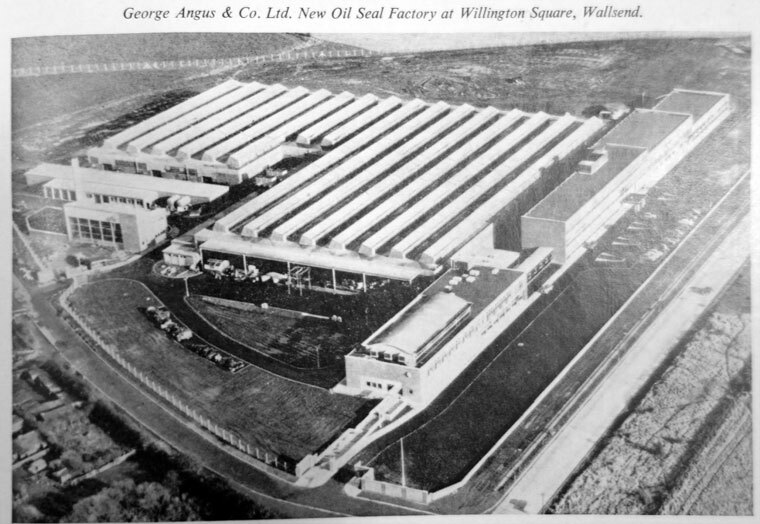 The agreement with C. F. was that O.S.D was to be run as a separate business with separate accounts within the Angus framework. 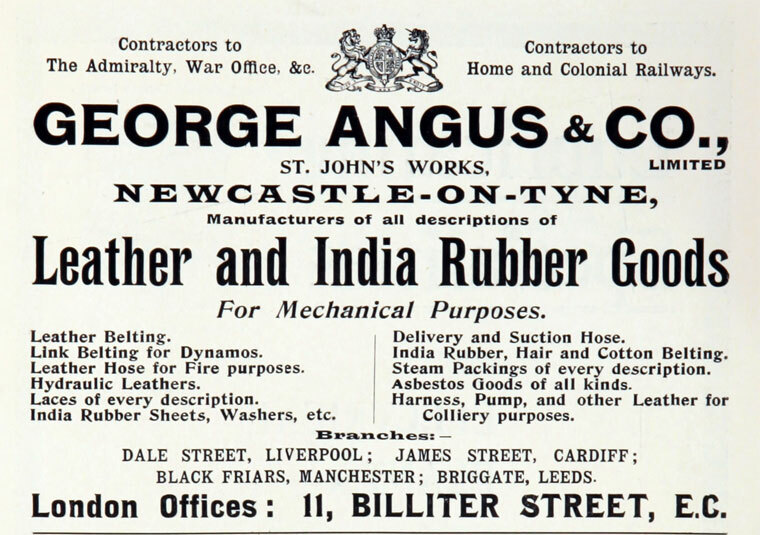 Angus and C.F. 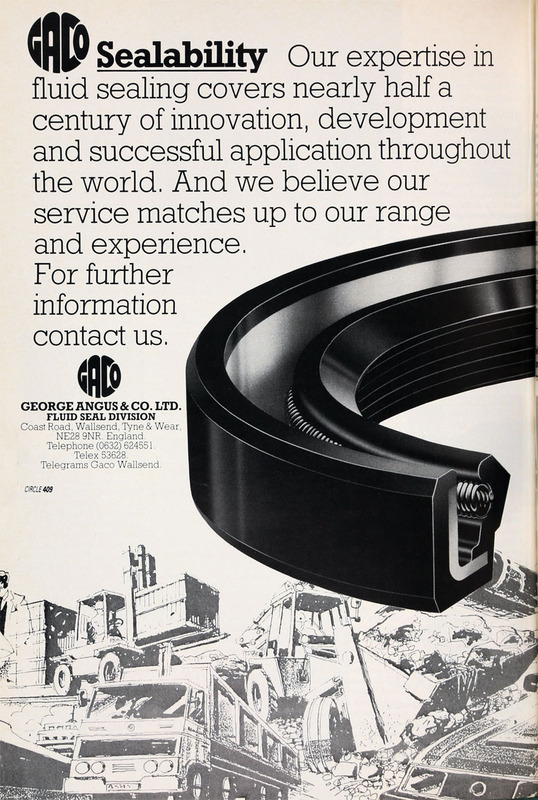 were to be regarded as equal partners in the enterprise. 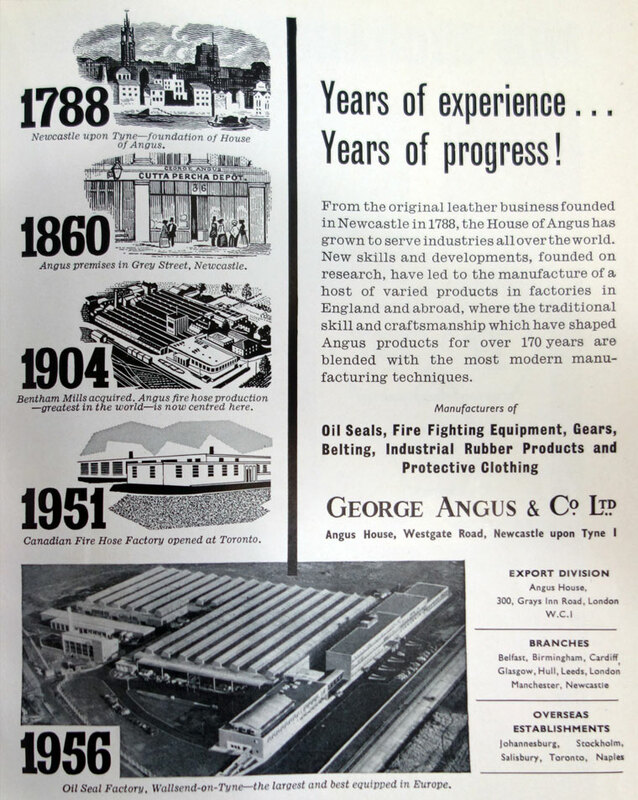 Angus provided the initial capital investment and C.F provided the technical expertise. 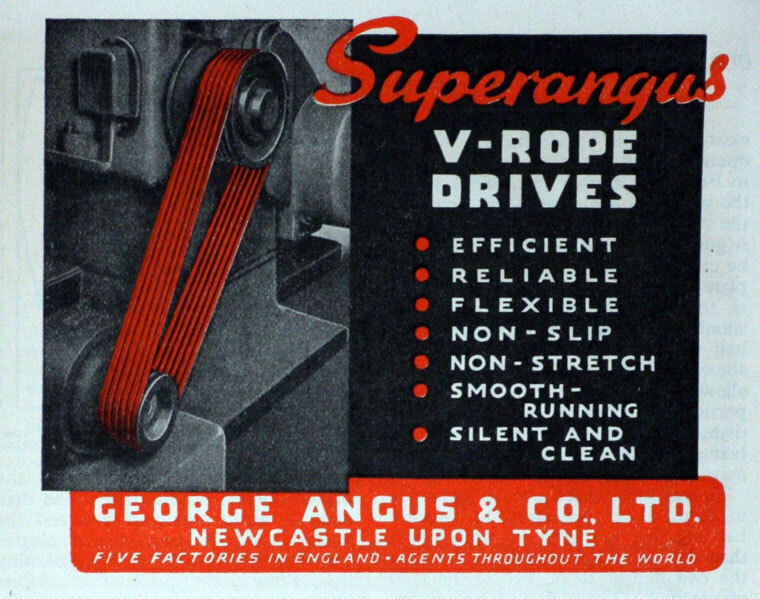 Profits of O.S.D belonged in equal parts to Angus and C.F. The C.F. 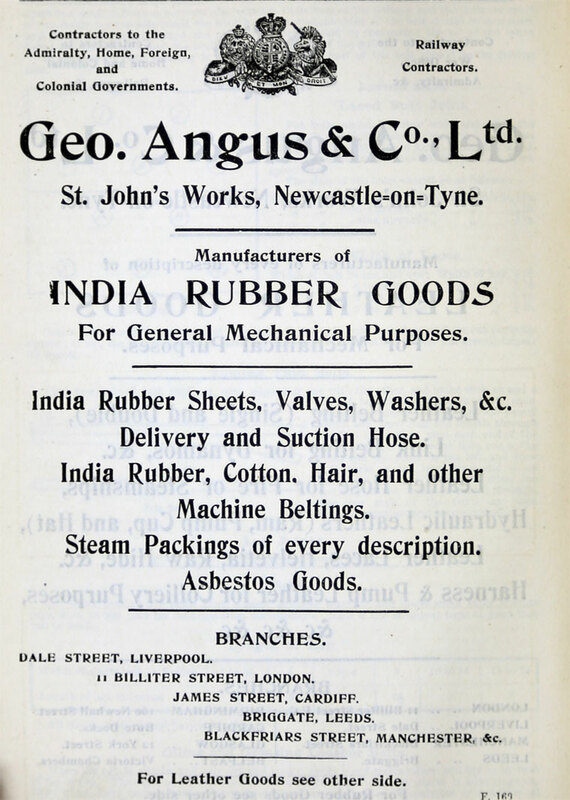 share of profits was to be retained in the business and accumulated until such time as O.S.D. 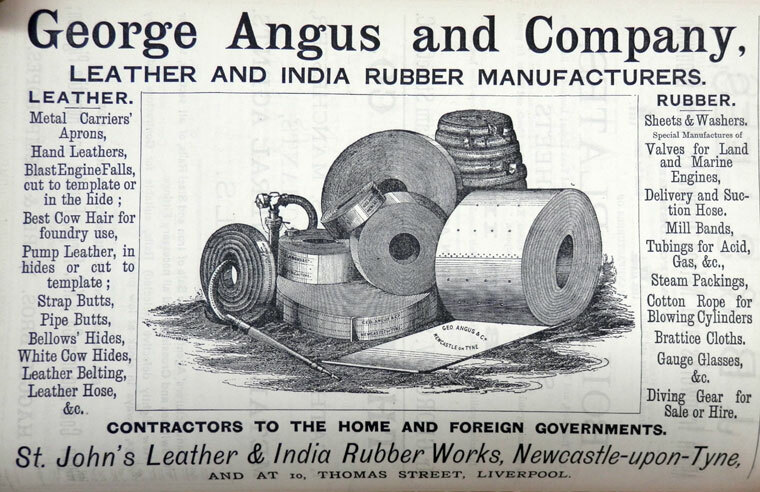 could be formed into a separate company jointly owned by Angus and C.F., each having an equal stake and each being entitled to half the profits/losses. 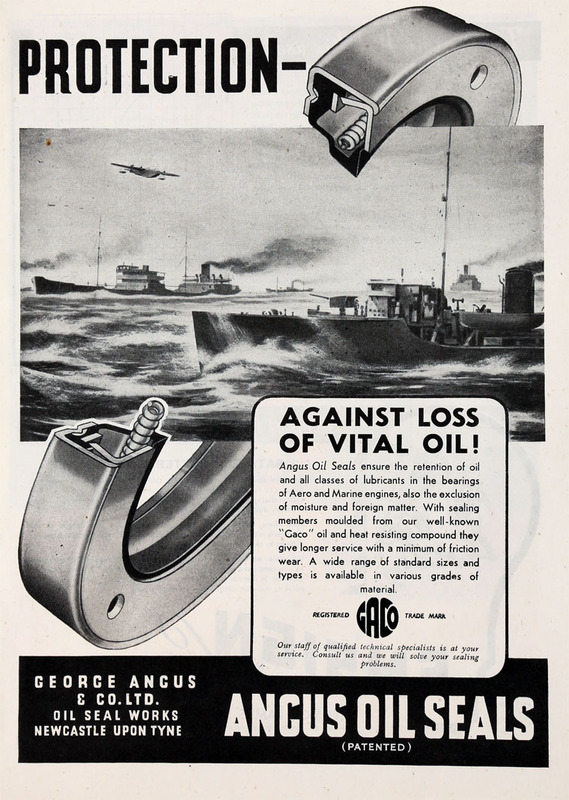 This intention was frustrated by the outbreak of war in late 1939. 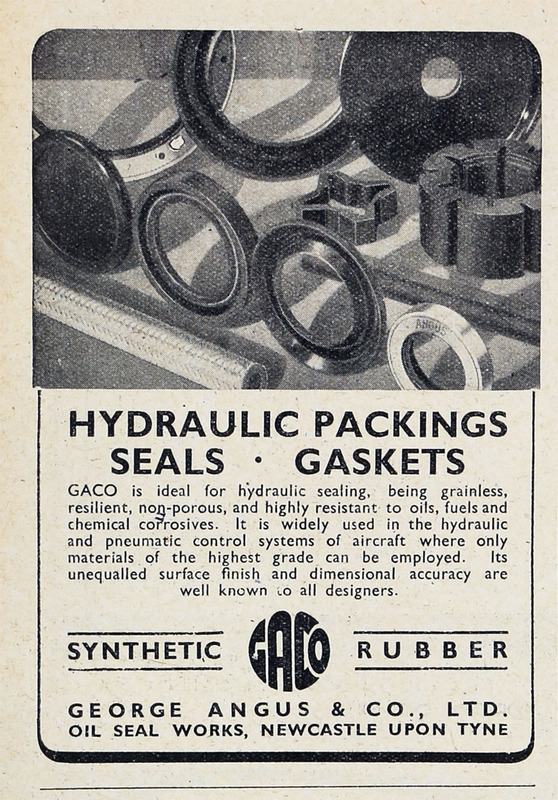 1938/39 The introduction of Gaco (Buna N compounds) materials to the aircraft industry was opportune. 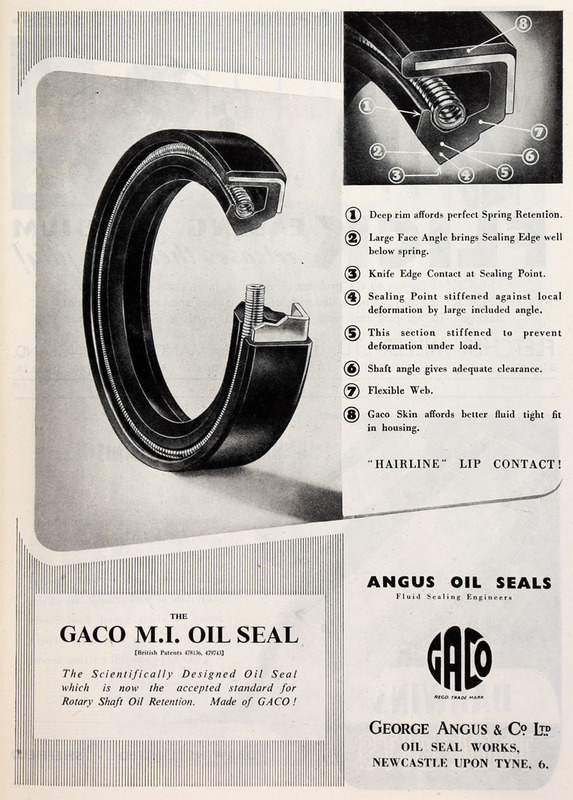 This was mainly because they appeared at the very time when hydraulic controls were being first applied and developed for many uses in aircraft utilising mineral oil as the hydraulic medium. 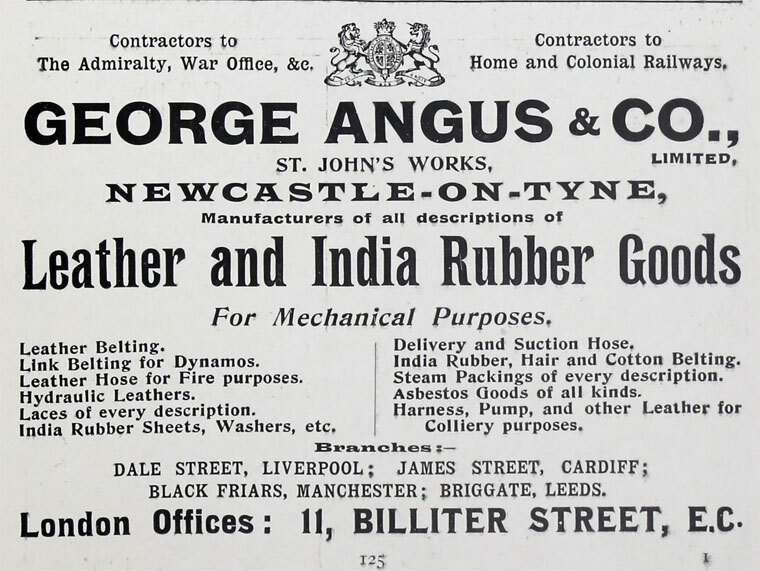 A rubber like material with high oil resistance which lent itself to precision moulding was essential for effective functioning of moving parts in hydraulic systems. 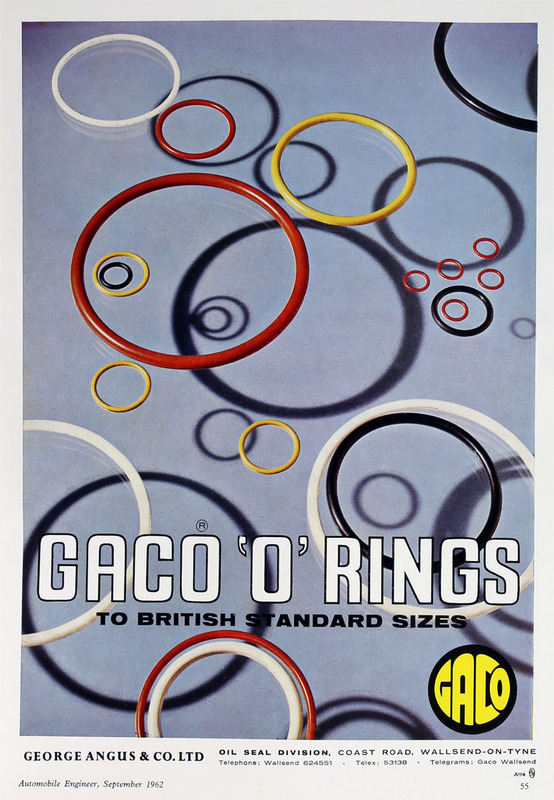 Gaco was the material that surpassed all others. 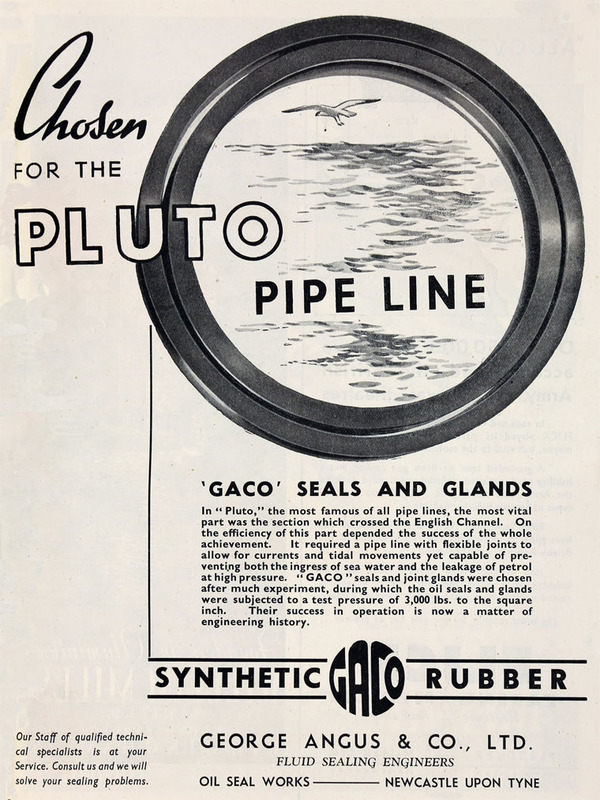 By the time war broke out in late 1939 Gaco was being specified and used extensively in modern aircraft, including seals used in undercarriages, wing flap controls, variable pitch airscrews and gun turret controls. 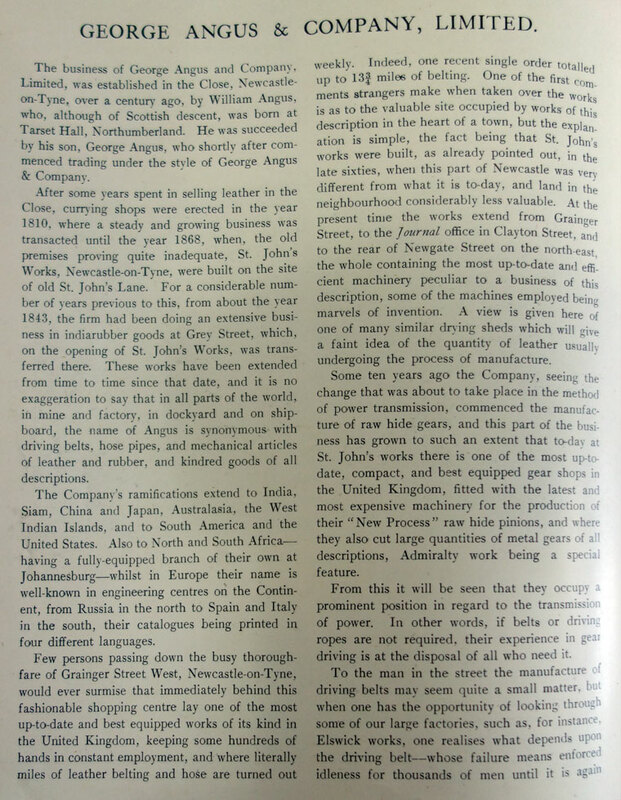 This page was last edited on 12 March 2019, at 18:10.